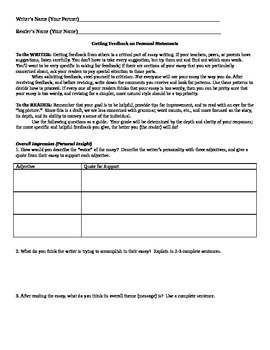 This is a brief (two-sided) peer review sheet for use with personal narratives and college admissions essays. Provides instructions to readers and writers, and a series of eleven core questions intended to guide readers toward providing helpful, targeted feedback to writers. Some questions have multiple parts.